Hello! This week at Hand Stamped Sentiments we have a challenge to create a project with a bird/peacock. Great challenge! My mind just soared with so many ideas! 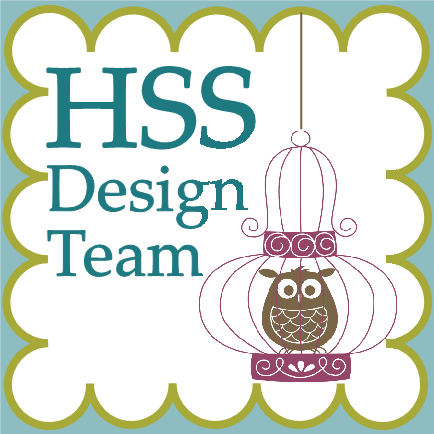 I’m so excited to share this card because it contains many of the new products found in the new Stampin’ Up! catalog. So many beautiful stamp sets and products! I’m going broke if I order everything on my wish list. 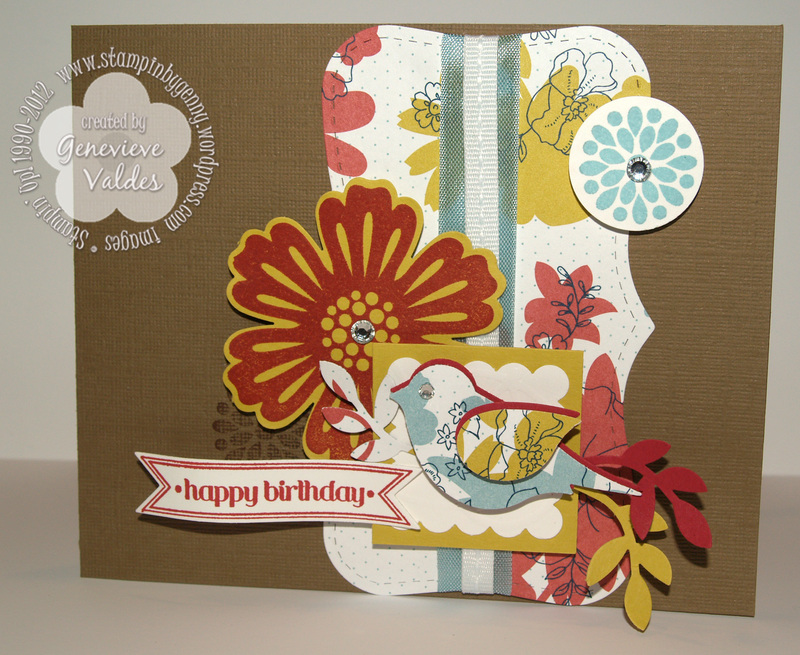 The beautiful DSP paper, Patio Party, features the new In-Colors and I also used card stock from this same collection. My card also features a new sentiment from the Bitty Banners set that I die cut using the new Bitty Banners Framelits. No more trying to cut my own banners by hand. LOVE IT!! Another new product is the 1/4″ stitched grosgrain ribbon. This ribbon comes in many colors and the stitching adds so much. The flower stamped images are from the set Mixed Bunch and die cut with the Blossom punch. 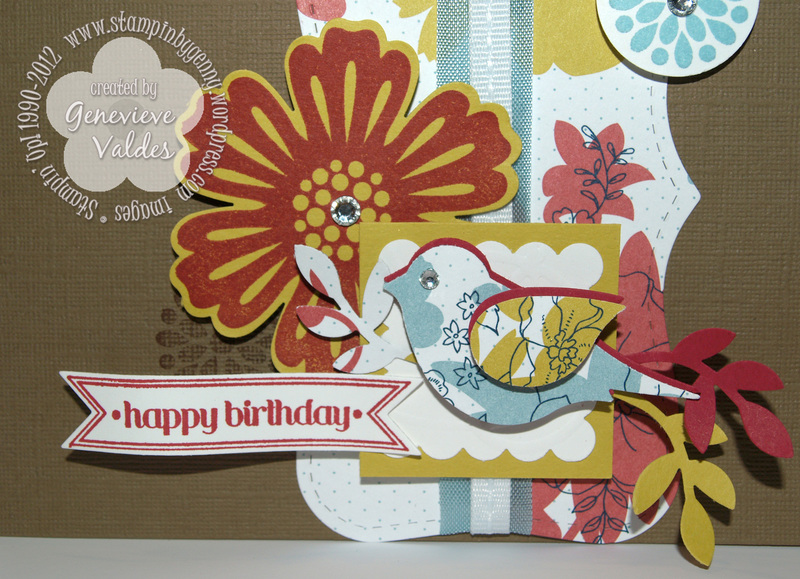 The bird is die cut using the Bird Builder punch. This punch is a must have because it die cuts a wing, bird and stem with leaves. So versatile! The Patio Party DSP layer is the Top Note shape cut narrow. Cool shape! I absolutely love the colors you used. And the trick with the top note is so cool, I kept thinking how did she do that?! The layering is fantastic and makes everything really pop, great job. Genny, so FUN! I just love seeing all the new product come to life…am waiting to order a bunch myself till after the move. Love how everything seems to jump off of the soft suede, just beautiful!